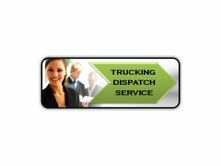 Questioning yourself if an independent truck dispatching service is for you? With our truck dispatching services we will book truck loads for you while you are on the road. We will find truck loads for your truck(s) twenty four hours a day and keep your truck(s) loaded. At Trucking Dispatch Services we negotiate the highest freight rates for any truck loads we can on your behalf and take care of any problems that may arise while on the road. Once we convey the best freight rates for you and your fleet, we will notify you of your freight load options and you make the final decision.. We offer 24 hour truck dispatching service and we will be there for all your needs that may arise. Your van and refrigerated trucks will be occupied and loaded, whether you have 1 truck or many. With our truck dispatching service, we will help you to decrease your deadhead miles, you won’t have to deal with paper work or spend hours on the phone negotiating with freight shippers or freight brokers trying to book a truck load. Less stress means happier driving. THERE IS NO CONTRACT FOR OUR SERVICE! loads and freight rate matches. of your truck load options with you. truck load rate for your truck. - Verify broker or shipper’s credit. set up and insurance certificates. - Work with your factoring company to make sure the freight broker is approved. WANT MORE FREE INFORMATION ABOUT OUR SERVICE ? $25000 to $30000 /month gross per truck. We do not book loads that pay less than $1.80 per mile. If you want to make real money and have a dispatching support team do everything for you.... Then you are in the right place. If you want a dispatching service that will book any load available at whatever price just to get you out of their day and move on to their next truck. if you want to deal yourself with the brokers and accounts payable to get paid. If you want to make less than $10000 a month gross. Then go back to google. You need to talk to those other guys. Don't fall for those dirt cheap dispatch prices.